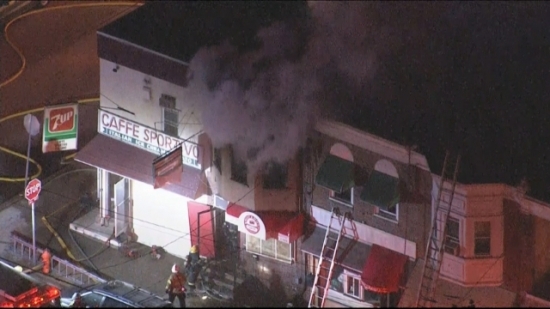 A 44-year-old man was killed Thursday night in a building fire in West Philadelphia. The fire broke out at around 8:30 pm Thursday evening on the 300 block of North 64th Street. Firefighters arrived on scene and found flames bursting out of the second floor of the storefront. After about a half hour, crews were able to get the fire under control, but when the firefighters entered the building they found the 44-year-old man dead inside. The victim's identify has yet to be released. So far there is no word on what started the blaze, but firefighters and police are investigating. Officials have now confirmed that another firefighter has died from the arson house fire that happened back on September 24th in Wilmington. 23-year-old Wilmington Firefighter Ardythe Hope died Thursday night from the severe burns she sustained in the fire. Hope has been in the Crozer Burn Center for months fighting to recover from the burns she sustained during the deadly blaze. She is now the third firefighter to have died from the Wilmington house blaze following the deaths of Lt. Christopher Leach and Senior Firefighter Jerry Fickes. Officials determined that the blaze was set intentionally by Beatriz Fana-Ruiz, one of the residents of the home. Ruiz has since been charged for her actions. Philadelphia Police now state that the mother of the 2-year-old boy who was killed in Kensington Tuesday night, has been charged in connection with his death. Police found 2-year-old Zyair Worrell unresponsive on Tuesday at around midnight in Kensington and rushed him to The Children's Hospital of Philadelphia where he died early Wednesday morning. After further investigation, officials discovered the boy had a lacerated liver, bruises on his chest and eye. He also tested positive for THC in his system, which is the active chemical in marijuana. Police have not yet released the name of the mother, or the charges to be filed against her. The Sixers play at home tonight against The Magic. Today, Clear and sunny with some clouds, and a high of 50 degrees in Center City.